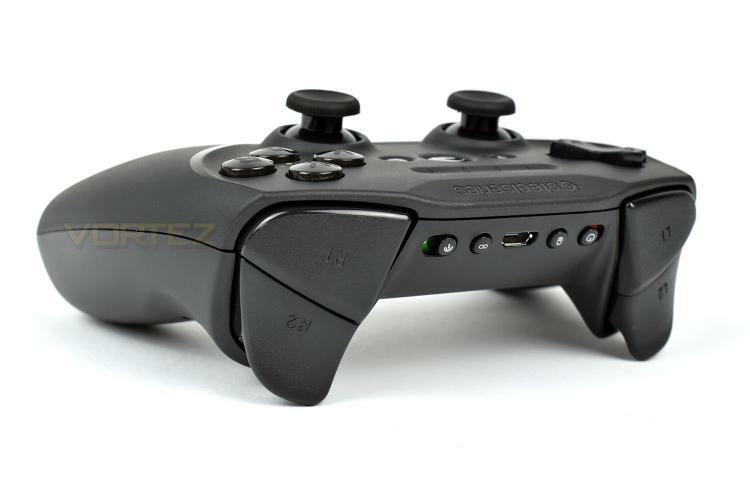 The Stratus Duo features a familiar design, especially to users of an Xbox One controller, though you will notice that the D-Pad and the left analog stick are switched around, being more similar to the PlayStation Dualshock design. The pad weighs in at 245g, without the cable, making it roughly 30g lighter than an Xbox One controller (fitted with Official battery pack) and 25g heavier than the PS4 controller. The A, B, X and Y buttons are located where you expect them to be, making in-game prompts relevant and useful, especially if taking advantage of Steam Big Picture mode or something of that kind. In the centre, featuring the large white circle, is the “home” button, which opens up the Xbox menu in Windows 10. Either side of that are the home and menu buttons. 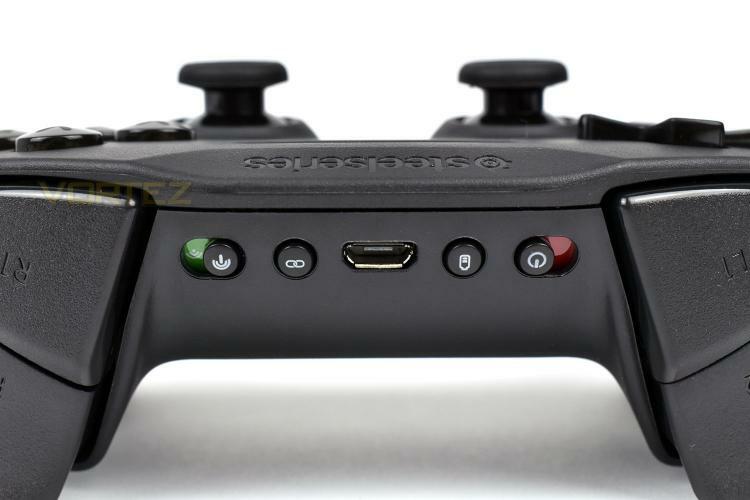 While we cannot 100% confirm that all four controllers can connect via a singular USB adaptor, the four LEDs indicate which player is assigned to each controller when playing with friends. 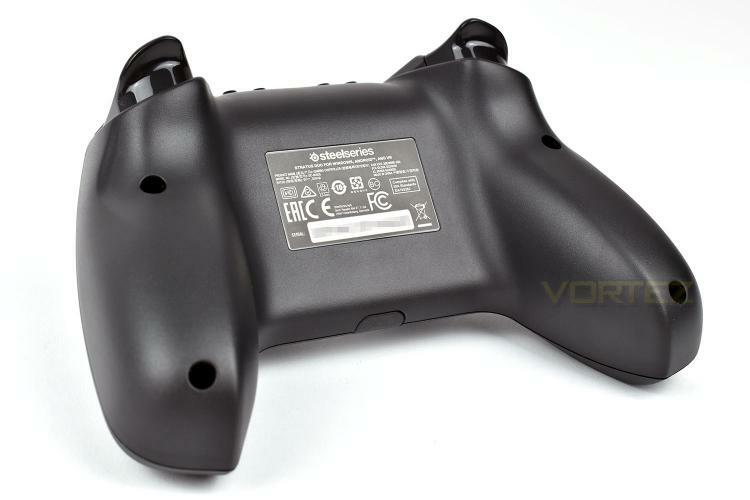 The trigger buttons on the top of the controller have been upgraded with Hall Effect magnets, these are better than traditional movement sensors because of their wear-free operation, potentially helping to improve the life of the controller, especially on two of the most used inputs on the device, as well as their improved accuracy. R1 and L1, just above the trigger buttons are large and ergonomic compared to most competition in the market, which should be conducive to a more comfortable experience. Located between the two shoulder buttons are a few switches and toggles. Starting from the left, there’s a switch to flick between the Bluetooth or 2.4GHz connection options. Next up is a pairing button, for connecting the controller to your phone or Bluetooth enabled PC. 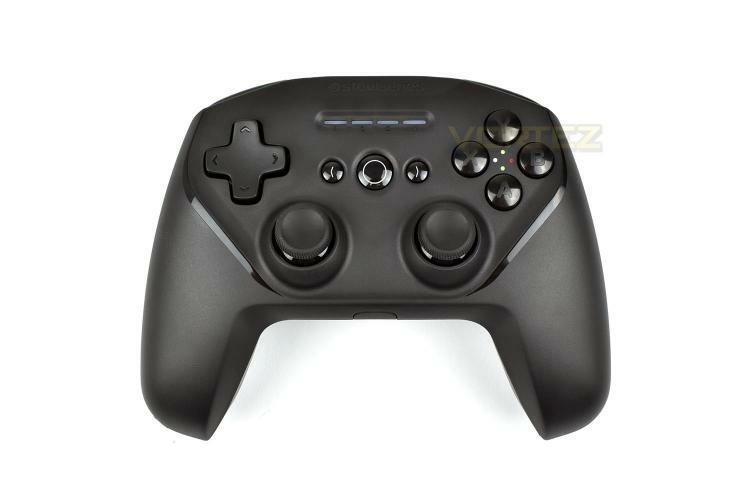 In the centre is a familiar Micro USB connection for charging and/or data, if you prefer to use the controller in wired mode with your PC. Moving further right we have a battery button, hitting this will illuminate the LEDs on the front of the device, with each one displaying 25% of the battery. Finally, there’s a power switch making it simple and easy to turn off the device. Last, but not least, is the bottom of the controller. This is formed from a single piece of leaving a smooth and uninterrupted finish.